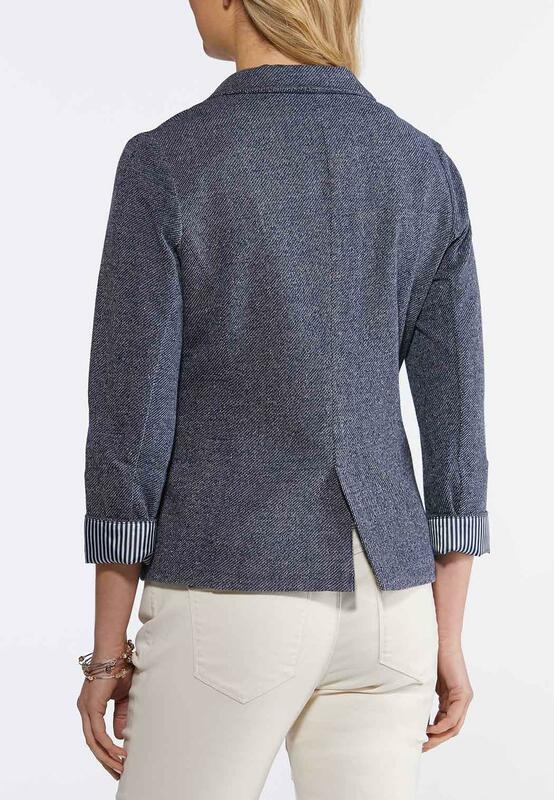 Update your every day with this blue crosshatch blazer, featuring a striped lining, front button closure and a classic silhouette for a strong, statement finish. I purchased this jacket and I love, love, love it !! It fits me perfectly!! Where can I get it a different color is my dilemma Now ??????? ?